Press Kit — DiResta Communication Inc.
Diane DiResta is available to share her expertise with you - in print, on camera, or over the airwaves. In the past, Diane has commented on political debates, presidential communication styles, and reality TV shows. She can discuss the following topics: workplace communication, the communication differences between men and women, leadership communication, job interviewing, fear of public speaking, the glass ceiling, video-conferencing, e-mail, leaving voicemail, listening, and the fine art of being influential in business. Please find her Media Bio and Interview Questions below. Name: Diane DiResta, CSP Title: Workplace communications/public speaking expert, author of Knockout Presentations: How to Deliver Your Message With Power, Punch, and Pizzazz, and President of DiResta Communications, Inc.
Summary of Expertise: Diane DiResta is a media trainer, executive speech coach, and certified speech pathologist who works with executives in Fortune 500 companies, celebrities, and sports figures, to get them communicating with clarity and precision. She trains business people to communicate with greater impact in the marketplace and coaches leaders to project their power to influence in order to achieve the result they want. She's also the author of the Amazon.com best-selling guide to public speaking and communicating from the platform, Knockout Presentations: How to Deliver Your Message With Power, Punch, and Pizzazz. She has coached and consulted a vast number and range of clients, including executives at AT&T, Chase Manhattan Bank, Warner Brothers., the U.S. Army, the NBA, Merck, and IBM. Educational Background and Certification: Diane has a Masters of Science from Columbia University in Speech Pathology, and a B.A. in Speech from Brooklyn College. She is a Nationally Certified Speech Pathologist (CCC). Books or Articles Published: Give Fear the Finger: How to Knock Out Fear of Public Speaking (BookBaby eBook, 2014); Knockout Presentations: How to Deliver Your Message With Power, Punch, and Pizzazz (Chandler House Press, 1998/2009); Conversations on Success - Interview with David E. Wright (Insight Publishing Company, 2004); "Voice Power: The Care and Feeding of the Professional Voice," Professional Speaker Magazine, May 2004. Memberships and Awards: Diane has earned the Certified Speaking Professional® designation. 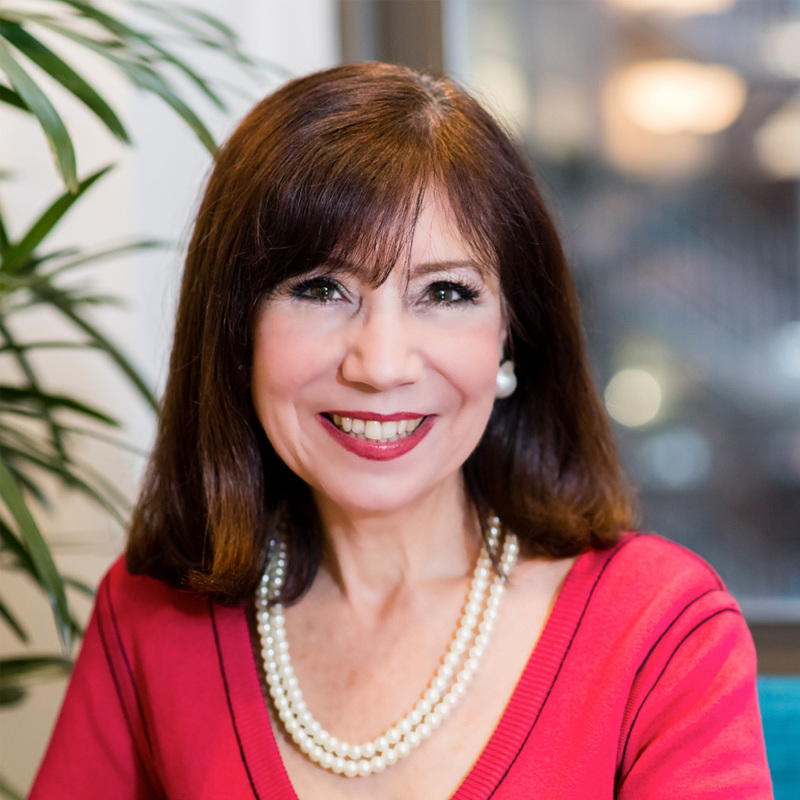 She is past President of the NY Tri-State National Speakers Association (NSA), winner of the NSA Golden Mic Award for professional excellence and service, and recipient of the Louis K. Miller business leadership award from the Staten Island Chamber of Commerce. She is listed in the World Who's Who of Women. Subjects or Issues Diane Can Knowledgeably Discuss: Gender communication styles, the glass ceiling, presidential candidate speaking styles, personal and leadership communication, virtual communication for geographically distant teams, video conferencing, presidential candidate speaking styles, body language, the fear of public speaking, communication across cultures, audience development, technology and communication, multicultural speaking, listening, workplace communication, e-mail, leaving voicemail, sales presentations, and the fine art of being influential in business. Experience with the Media: PIX11, Fox5 Good Day Street Talk, CNN, Good Day New York, Bloomberg Radio, Wall Street Journal, Investor's Business Daily, Entrepreneur Magazine, NY Times, LA Times, London Guardian, Cosmopolitan, BusinessWeek Online, Sales & Marketing Strategies and News, Sales & Marketing Management, Selling Power, Time Custom Publishing. What if you are not a public speaker? They say public speaking is the #1 fear? What can you do about nervousness? What are some of the mistakes speakers make? Talk about the small business owner. Why do you say that speaking is such a good marketing technique? How do women sabotage their communication? You devoted a chapter to listening. Why is listening important in giving presentations? What is listener-centered communication and how can people be more persuasive? How do you handle a difficult customer or audience? What makes somebody a good presenter? Is it really important to be a good speaker?